Zanaris is the best way to get to the maze, which requires you to have completed the Lost City Quest. 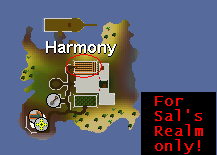 Be sure to bring your Dramen Staff or Lunar Staff if you have completed Lunar Diplomacy, unless you are already there, of course. The Activity is based on the weird and wonderful plane of Puro-Puro, which can be accessed by entering the center of the crop circle in the field of grain in Zanaris. 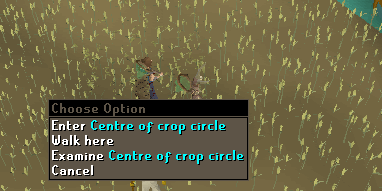 This is the easiest way, but you can also find Implings wandering around RuneScape, and occasionally crop circles leading to Puro-Puro will appear in grain fields. 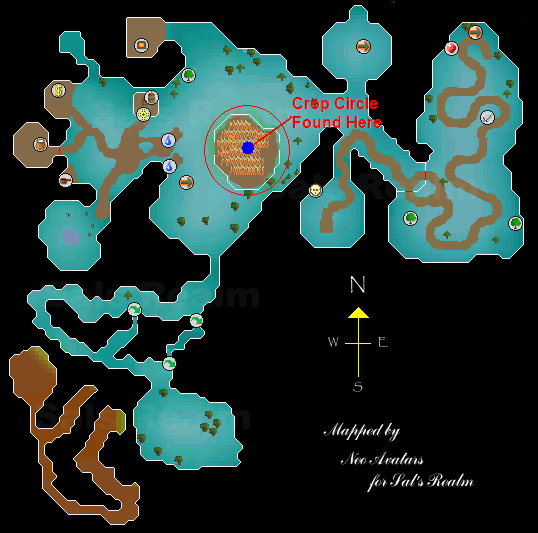 To exit, you simply enter the portal in Puro-Puro, and after a brief conversation with Immennizz the Impling, you will be teleported back to wherever you entered the portal in the first place. 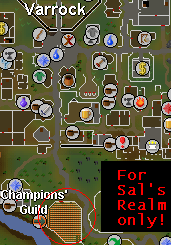 To be able to catch the Implings, you will need to have the correct equipment. Fortunately, help is at hand for those not prepared: Elnock Inquisitor will be willing to give you some spare Impling Jars, a Butterfly net and an Impling Scroll, but is not available for people not in Puro-Puro. 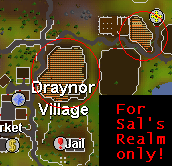 If this is the case, then you can make your own Implings Jars. 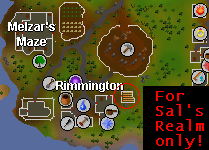 To make your own Impling Jars, you will need 8 Cooked Anchovies, some Flowers, a vial, a Pestle and Mortar, a Sieve (obtained from the Chemist near Rimmington) and a normal Butterfly Jar. Note: You can skip most of the process if you have already got Imp Repellent from the maze; you will only need the repellent and a Butterfly Jar. First off, use the Anchovies with the Pestle and Mortar to produce some Anchovy Paste (Stackable). This is too thick for use, so you will need to get a Sieve from the Chemist in Rimmington. Just talk to him about Impling Jars, and ask him for a Sieve. Use the Sieve with the paste with a vial in your inventory, and you will get some Anchovy Oil. 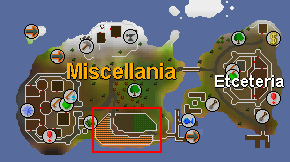 Use some Flowers (grown from Mithril Seeds, sold by the Flower Girl in Miscellania or grown using Farming) with the Oil. This will give you some Imp Repellent. Then use the Repellent with the Still at the Chemist's house, and use a Butterfly Jar with it to get an Impling Jar (Make sure the Still is empty before use!). Note: Normal Butterfly Jars will not hold Implings. 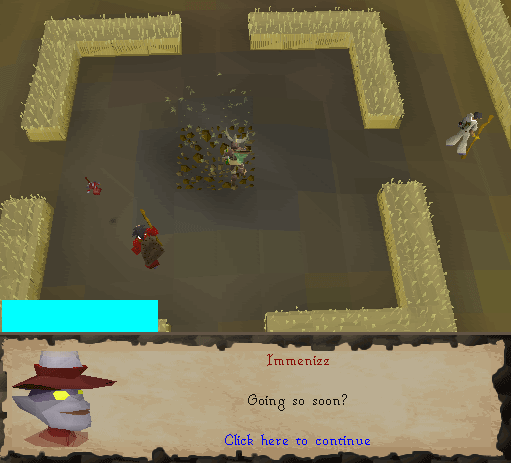 Imp Repellent decreases the chance of the Imp Defenders catching your Implings and setting them free. The Net increases your chances of catching Implings and Butterflies. The Jar Generator can be used to produce Butterfly and Impling Jars out of thin air! It starts of with 100 charges, and goes down as you use it. 1 charge is taken away for a Butterfly Jar, and 3 for an Impling Jar. 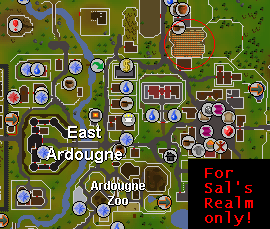 When all of the charges are used, you can get a new one by bringing the same Implings you used to get the first to Elnock. The Impling Scroll will allow you to see how many of each Impling you have, as it can be difficult to distinguish between the different Implings. 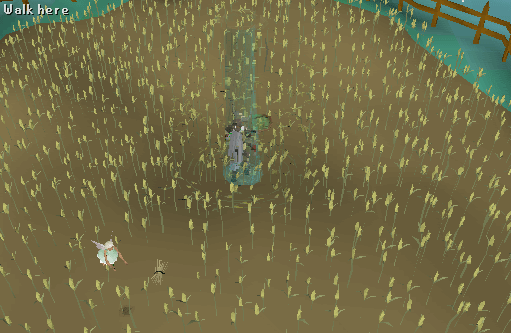 To trap an Impling, you just have to click "Catch Impling." Simple, eh? Not quite. The maze is constantly shifting, and you have to push through the grain or find an opening to go through. However, the Implings can travel over them with ease. Pushing through the grain gets you 0, 2 or 3 Strength Experience each time, depending on how quickly you push through. When you capture one successfully, you will be able to loot it for rewards. These can vary from Runes from an Essence Impling, to Dragon Arrowtips from a Dragon Impling. Note: Occasionally your jar will break as you try to open it. This is inevitable, but the higher your Strength level, the less likely it will break as you try to open it. You can always exchange with Elnock, make your own or trade with players for more. 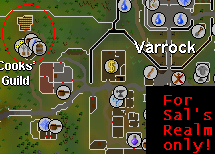 To aid you in catching those pesky Implings, you can use Magic to help! 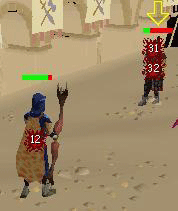 Using the Bind/Snare/Entangle spells on an Implings will freeze them in position for a few seconds. Dotted around Puro-Puro are Imp Defenders. Occasionally, one of these may grab one of your Impling Jars and release the Impling inside. 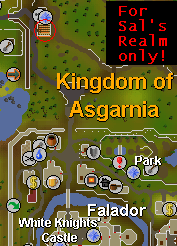 You will have to pick up your jar, and catch your Impling all over again! 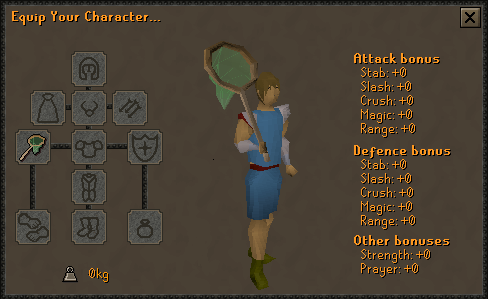 The Magic Butterfly Net increases your chances of catching Implings and Butterflies, but gives no bonuses to your stats. The Dark Bow is a new addition to the game along with the Implings, and is required to fire the new Dragon Arrows that you get from the Dragon Implings. It requires level 60 Ranging to use, and its special attack, Descent of Darkness, does up to 30% more damage when using arrows other than Dragon, but when using Dragon Arrows you can hit up to 50% more damage. This attack will always hit, so is very useful. However, the Dark Bow is not obtained from Implings. They are dropped by level 182 Dark Beasts on the path to the Light Temple, and can only be killed with a Slayer level of 90.